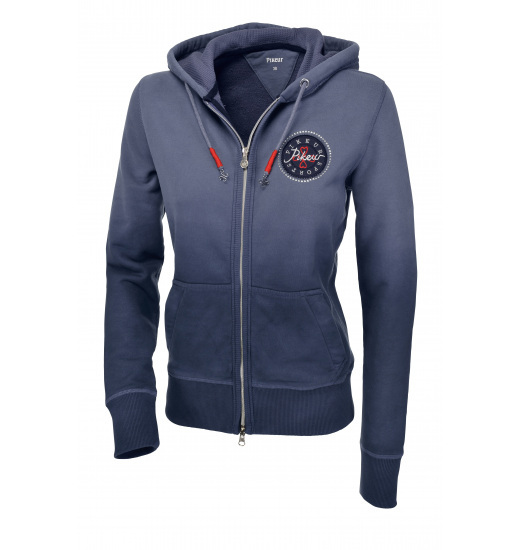 Comfortable and breathable ladies' sweat jacket with hood of a high quality jersey. 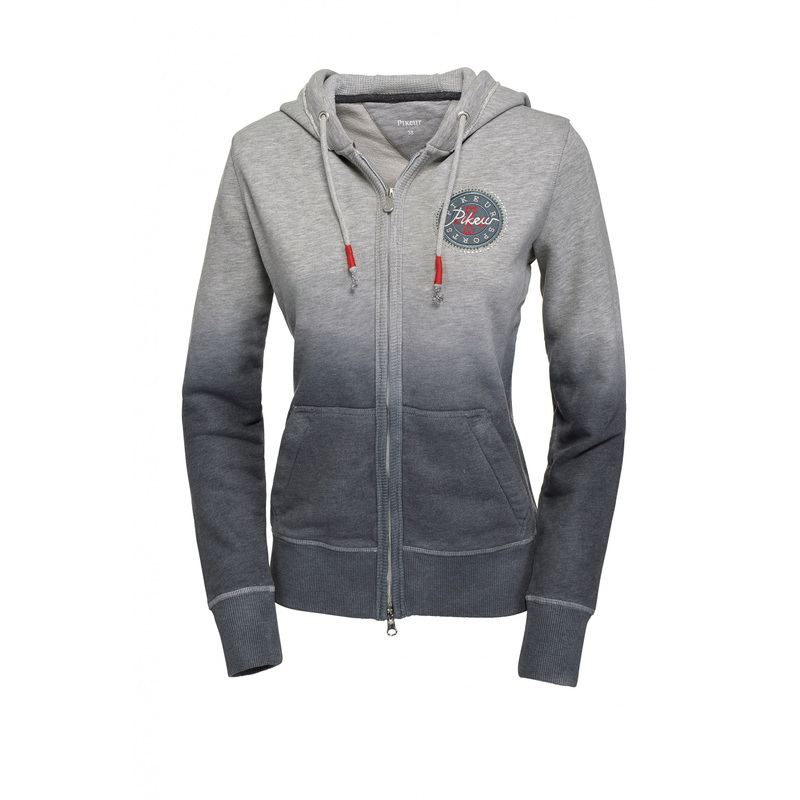 Its sporty cut fits nicely to the body. There are two pockets on the front. Its zip can be fastened both ways. 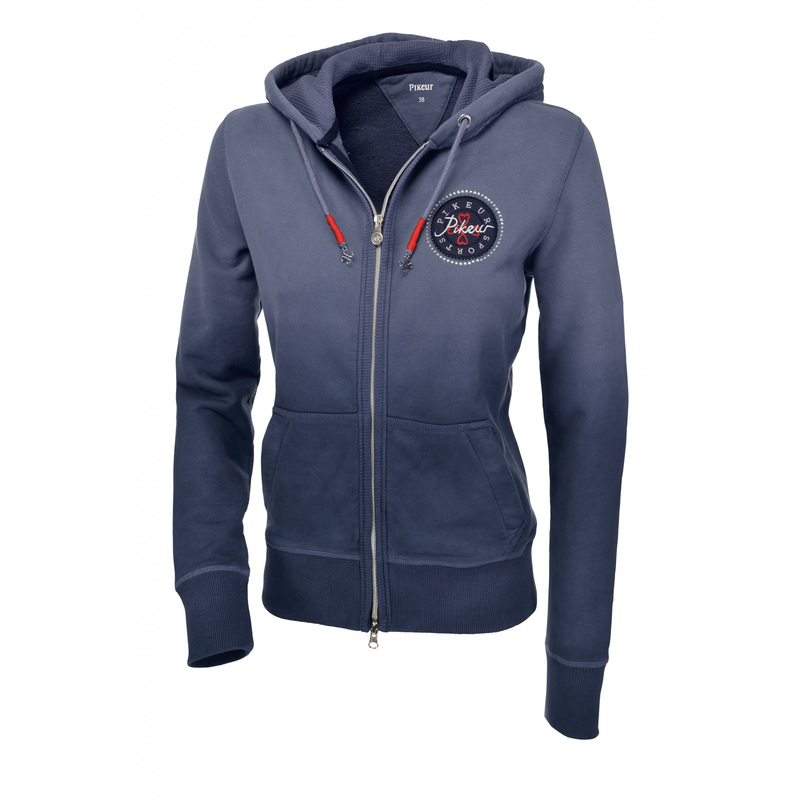 The jacket is decorated with a Pikeur emblem on the chest.